Cathleen has been actively appraising real estate since 2005. She is adept in appraising single and multi-family homes as well as manufactured homes. She currently holds Rhode Island Appraisal License LRA.0A01369. Since 2008 she holds the position of Licensed Appraiser at Southern Rhode Island Appraisal. George has extensive experience through past employment with local and national banks as well as mortgage companies. He has also appeared as an expert witness at Rhode Island courts including: Superior, Family, and Bankruptcy, He also has appeared before many Rhode Island town zoning boards. He has exhaustive experience in revaluation appeals. He has performed feasibility studies, subdivision analyses and valuation of development rights for municipalities, Narragansett Electric, National Grid, various Land Trusts and private landowners around Rhode Island. He currently holds Rhode Island Appraisal License CRA0A00394. George is a member of the National Association of Realtors and the Rhode Island Association of Realtors. 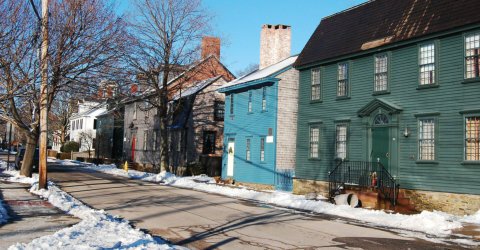 We are seasoned, licensed real estate appraisers focused on Rhode Island home, property and commercial appraisals. As long-term residents of Washington County, also known as South County, we tend to focus our activities here. Our clients who are mortgage companies, banks, lawyers and homeowners need appraisals need real estate appraisals for financing, settling or planning estates, divorce or Private Mortgage Insurance (PMI) removal. Some of the towns in Washington County: Ashaway, Bonnet Shores, Bradford, Burdickville, Carolina, Charlestown, Cross Mills, Davisville, Dunns Corner, E. Greenwich, Exeter, Frenchtown, Galilee, Great Island, Green Hill, Hope Valley, Hopkinton, Jamestown, Jerusalem, Kingston, Matunuck, Misquamicut, Narragansett, Newport, N. Kingstown, Peace Dale, Perryville, Point Judith, Quidnessett, Quonset, Richmond, Sand Hill Cove, Saunderstown, Scarborough, Shannock, Shelter Harbor, S. Kingstown, Tower Hill, Usequepaug, Wakefield, Watch Hill, Weekapaug, Westerly, West Kingston, W. Greenwich, and Wyoming. © Southern Rhode Island Appraisal Co.
We are seasoned, licensed real estate appraisers focused on Rhode Island home, property and commercial appraisals. As long-term residents of Washington County, also known as South County, we tend to focus our activities here.